We spend our lives fighting the trying burden of multiple afflictions, seeking ways to alleviate them whatever the cost. They take away from our peace of mind, from the kindness and attention we owe to those around us, and in our pride they will even lead us to anger against God for allowing such controversies to befall us. 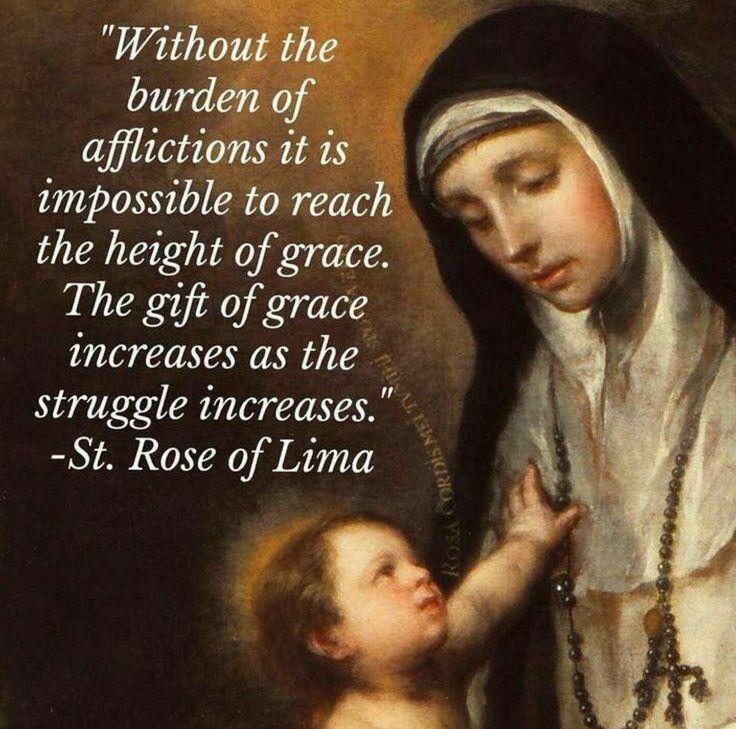 St Rose of Lima, who knew much about affliction, shows us how these afflictions can become beneficial to our growing in grace with God. 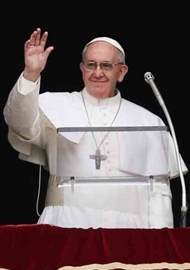 Our Beloved Saviour accepted the Cross to redeem Mankind, that all who repent should be saved. He tells us: “Whoever wants to be my disciple must deny themselves and take up their cross and follow me”, (Matthew 16:24). 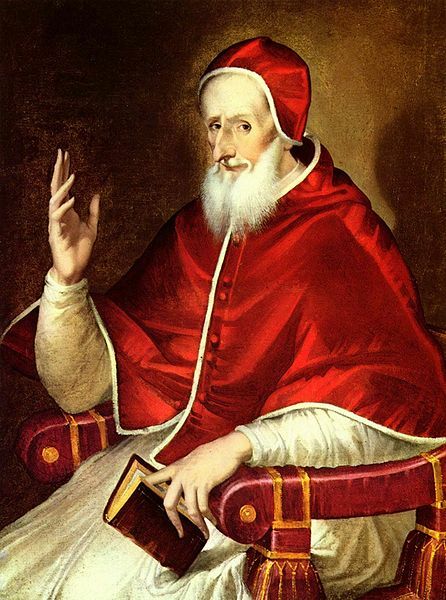 The cross is part and parcel of our pilgrimage on earth; to fight against it and refuse the graces it offers is to lose countless blessings offered to us. 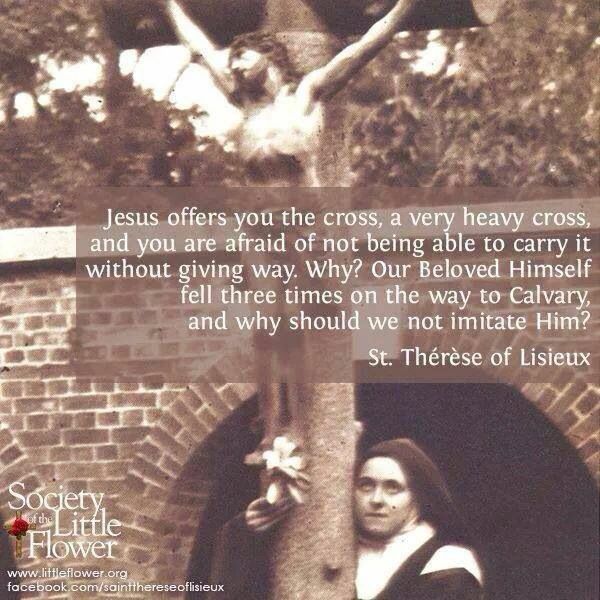 In the words of St Thérèse of Lisieux, may we embrace our cross with joy and thank God for giving us these opportunities to imitate Him on His journey to Calvary. Let not any adversity take away our gentle loving attitude towards our neighbour. May we see the suffering face of Christ in all men and bring them joy. 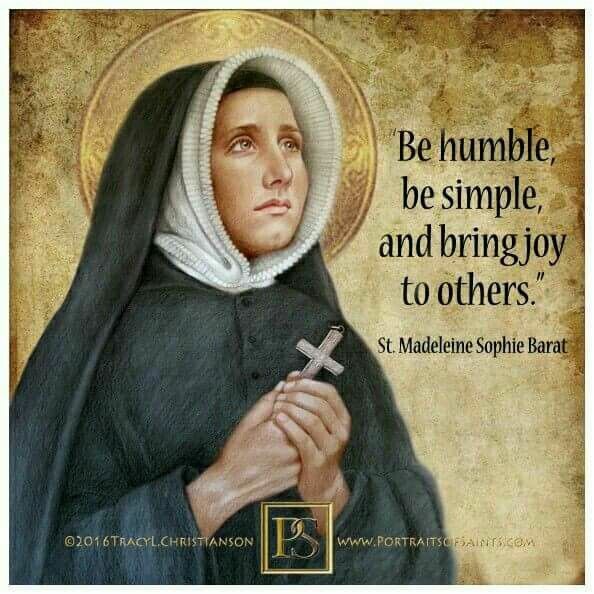 St Madeleine Sophie Barat (founder of the Society of the Sacred Heart) lived in difficult circumstances following the French Revolution, but prayed for equanimity at all times. “Your example, even more than your words, will be an eloquent lesson to the world”, she tells us. The gentle humble saint from Assisi, companion of St Francis, and whose feast day we celebrated recently, St Clare of Assisi, was greatly loved by her community and now today by all who have learnt of her holy life and writings. 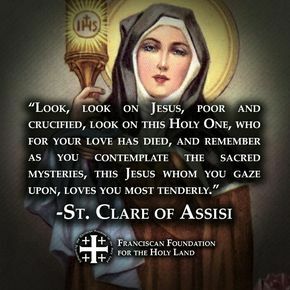 Those who, despite adversity, know themselves loved by Jesus, like St Clare, possess hearts overflowing with love for others. “The good person out of the good treasure of his heart produces good, and the evil person out of his evil treasure produces evil, for out of the abundance of the heart his mouth speaks”, (Luke 6:45). Thank you for these great words from some of our great saints. We need to embrace our crosses and use them as a means of uniting ourselves to the Lord. Thanks for the reminder. Another great post. 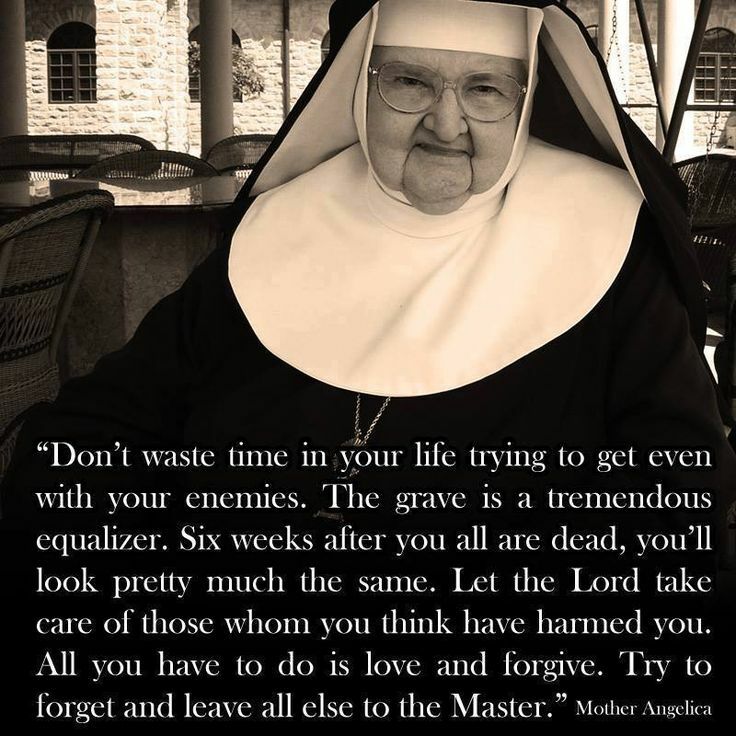 Such important truths from the mouths of these saintly women! 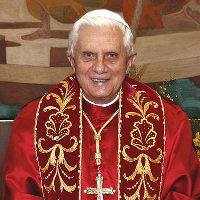 At this time of crisis in the Church we are called not only to embrace the cross of personal sufferings but perhaps more than ever to share in the Passion of the Mystical Body of Christ.